Lucy O’Brien is the author of She Bop: The Definitive History of Women in Popular Music (which went into its third edition in 2013). It inspired the 2002 Radio 2 series She Bop, and two exhibitions: She Bop at the National Portrait Gallery in 2001, and She-Bop-A-Lula, at the Strand Gallery, 2012. Lucy has also written Madonna: Like An Icon (first published in 2007 and translated into 13 languages), plus in-depth biographies of Dusty Springfield and Annie Lennox. She’s worked for the music press since the 1980s, starting on NME and contributing to a range of titles including Q, Mojo, The Sunday Times, The Guardian and The Quietus. Lucy has acted as a consultant and guest contributor in television and radio, for example on Channel 4 News, BBC Radio 4 - Woman’s Hour, Radio London and numerous BBC 4 documentaries. She also co-produced Righteous Babes, the 1998 Channel 4 film about rock and new feminism. She is Course Leader for BA (Hons) Music Journalism and BA (Hons) Music Marketing & Promotion courses at UCA Epsom. She also taught Media and Communications at Goldsmiths, University of London, and the Commercial Music degree at the University of Westminster. She was also a lecturer in Popular Music Journalism at Southampton Solent University. Her specialist research areas are music subcultures and scenes, feminism and popular culture, writing and publishing biography. 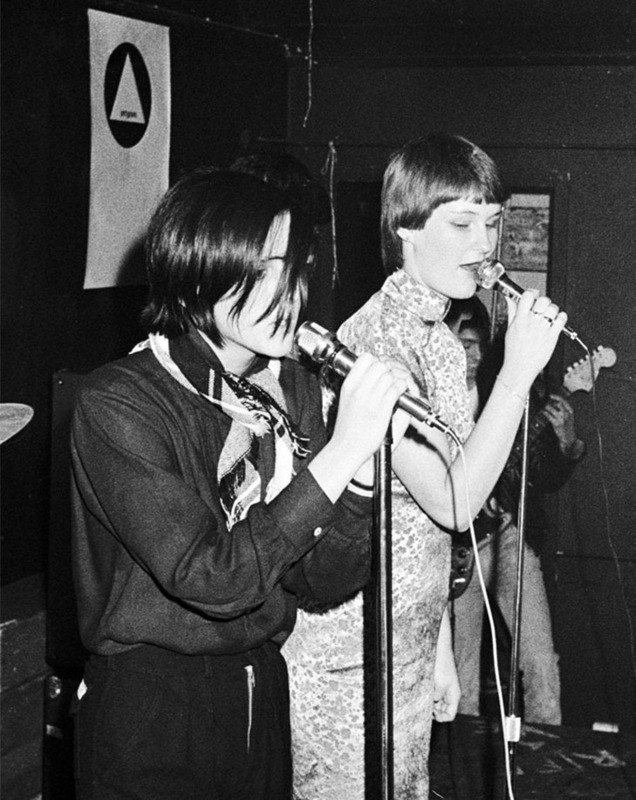 And back in the late 70s/early 80s, Lucy played and sang in all-girl punk band The Catholic Girls. The Catholic Girls, Lucy on the right.